The UK Championship is the ninth ranking event of the 2018-19 season. Held from the 27th November to the 9th December and staged at the Barbican Centre in York, England. This is the first of the three biggest events of the season known as the Triple Crown (UK Championship, The Masters & World Championship). This tournament has a rich history dating back from its establishment in 1977. Similar to the World Championship in that Davis & Hendry dominated this tournament during most of the 80’s & 90’s respectively. However in 1993 O’Sullivan did break this trend by beating Hendry 10-6 in the final to win his first ranking event and become the youngest ever winner at the age of 17 !. A huge field of 128 players will compete here for the winning prize of £170,000 from the Betway sponsored event. Live coverage will be broadcast on BBC 1 & 2 and Eurosport 1 & 2. 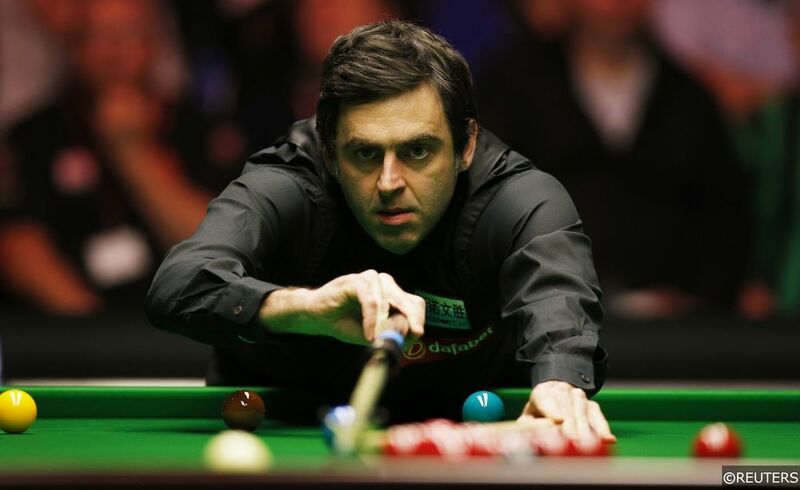 Ronnie O’Sullivan equalled the record of former great Steve Davis with his 6th UK Championship title last season. He defeated Shaun Murphy 10-5 in the final with 10 breaks over 50 which included three centuries. R.O’Sullivan, M.Davis, M.Fu, J.Lisowski, S.Murphy, X.Guodong & D.Junhui. J.Trump, R.Day, J.Perry, A.McGill, L.Brecel & J.Higgins. M.Selby, R.Walden, S.Bingham, D.Gilbert, Y.Bingao, K.Wilson, L.Wenbo & B.Hawkins. M.Allen, N.Robertson, G.Dott, A.Carter, S.Maguire, Z.Xintong & M.Williams. This shows where the top 28 players in the betting are placed in the draw. With the format best of 11 frames right up until the final, which is a long, best of 19 match, this tournament should favour the top ranked players. The quality of the past winners list shows this event is highly regarded among the great players of the past and present. It comes as no real surprise as we are now approaching half way through the season and the players should be hitting their top gear. 11 of the 41 times (27%) the winner of this has gone on the win the World Championship in the same season. One selection from each quarter is given below, all the selected players have previously won ranking tournaments and have plenty of experience in this major championship. “The Rocket” is the defending champion and clearly loves the event having won it a record 6 times previously. Three of these victories come at the barbican centre so the venue is no issue. His impressive form reads two wins, one final and one semi-final from the four events he has entered this season. O’Sullivan will be the man to beat at York and he will take some stopping. The draw is also favourable as he is not likely to meet the more top quality methodical players he sometimes struggles against like Higgins, Selby & Wilson until the semi-final onwards. “The Warrior” statistically has the second best form on tour going into this one and is steadily improving his game by the season. His temperament is rock solid and he is capable of performing on the biggest of stages having reached the quarter-final or better of 4 triple crown events in his first 5 seasons. It looks like it is only a matter of time before he claims one of the games biggest trophies. “The Pistol” is another player in the top 10 of the form table, his best performance this season come in the International Championship which he won comfortably and scored a huge 14 centuries. He also narrowly missed out in the semi-final of the recent Champion of Champions 6-5 to Kyren Wilson. The Northern Ireland Open quickly followed which was disappointing as he departed early but he should be fresher for this one. The highest ranked player he could play before the last 16 is Neil Robertson who he has beat in their last four meetings. Allen has also made the quarter-final or better of the UK Championship three times in the past. “Dynamite” is a good value selection here as he his having a very consistent season reaching four quarter-finals so far. The world number 12 won two ranking events last season (Riga Masters & Gibraltar Open) and won another non-ranking title (Romanian Masters) semi-final of the UK Championship last season. Day is tough experienced competitor and a heavy break builder who has complied 345 centuries, that ranks 16th place on the all time list.